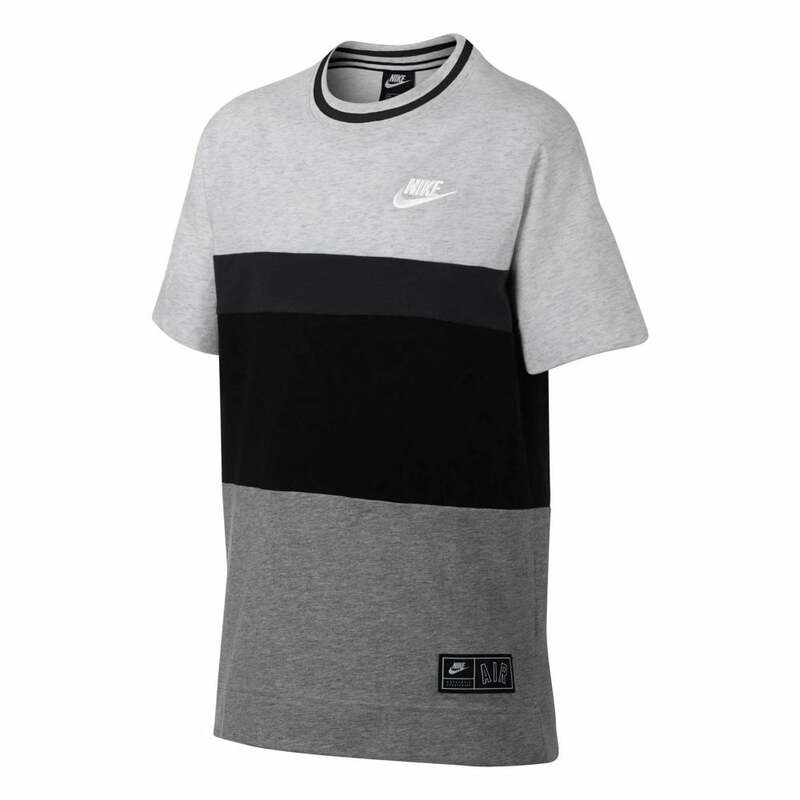 This Nike Air Block Short Sleeve T-Shirt is 100% cotton and is grey in colour with dark grey and black block panels on the front. It has short sleeves and a crew neck. Nike branding appears embroidered on the chest in white with additional Nike Air branding on a fabric patch sewn above the hem.